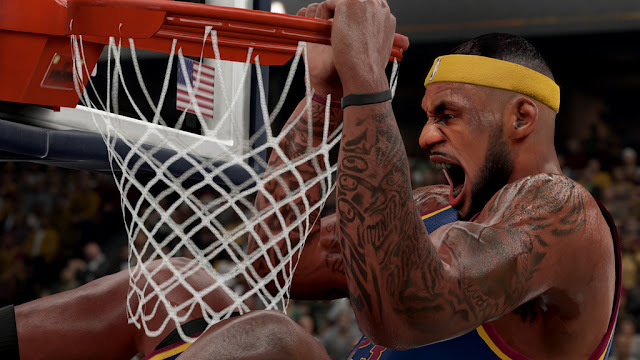 2K has already delivered on their promise to release the second NBA 2K16 update this week. Patch #2 was released for the PC version of the game through Steam this morning, focusing mainly on general stability issues. Support added for custom keyboard configurations. Optimization improvements that increase performance across all configurations. Addressed an issue where some users would notice commentary cutting out during gameplay. Resolved frame rate stuttering at start of games/between quarters on moderate to high-end systems. Addressed an issue where some users would see a black screen in the Edit Arena and Edit Uniform menus when ‘Special Effects’ was turned off. New Video Settings option ‘Media People Detail Level’ added; reducing this will help performance on low-end and mid-range graphics cards. Corrected missing/incorrect player icons when using a non-Xbox 360 controller. Fixed a rare hang that could occur when attempting to fast-forward 2KTV. Fixed a rare driver crash on DirectX 10.0 and DirectX 10.1 graphics cards. Help text added to Video Settings menu. Additional detail setting now available for Shader Detail in the Video Settings menu. Fixed super sampling not working when Letterbox (formerly called Aspect Ratio Correction) was disabled. The following Video Settings options should now provide the expected results when modified: Color Correction, Depth of Field, Screen Space Ambient Occlusion, Bloom, and Volumetric Effects. Resolved a rare case where the game would hang when entering/exiting the Tattoo editor when customizing the tattoos on your MyPLAYER. Addressed an issue on the main menu where the title would freeze for a period of time before proceeding to the selected action (e.g. loading a MyCAREER save). Players will no longer slide/skate when pressing the block button during an inbound state. It was funny while it lasted. Tuned crowd excitement and intensity on made buzzer beaters. Resolved a case where certain players (e.g. Kristaps Porzingis) would have their hairstyle change slightly when zooming in the camera very close in replay. Pro-Am Team Play has been added to the game! You can now play as a full team in your custom-built arenas. Addressed a number of matchmaking issues that inhibited users from playing in Pro-Am Walk-On games. Fixed an issue where your player would sometimes appear with the incorrect height (if you had more than one MyCAREER save file) when entering MyPARK/Pro-Am from within MyCAREER. Fixed a rare case where the ball would get stuck in the High Roller courts, thus preventing a game from concluding. Improved the animation of the skateboard in MyPARK. If you don’t have this, get it. You can move between courts faster than those that are on-foot! 2K Beats will now continue to play after finishing a game in MyPARK. Fixed an issue where some users were unable to join their friends’ MyCOURTs. Fixed an issue where the host user was unable to send MyCOURT invites after leaving MyPARK/Pro-Am with a squad. Addressed a number of issues with Accolades not unlocking at the appropriate time within MyCAREER. Pressing the back button will no longer cause the game to hang from the MyCAREER NEXT menu after being eliminated from the playoffs. Numerous tuning and code enhancements to improve simulated player stats. Playoff games (within a series) can no longer be played out of order in MyLEAGUE Online. Found and fixed a case where visiting certain submenus with no head coach would cause the game to hang. Fans of relocated/rebranded teams will no longer hold up signs referencing the previous identity of the team. Fixed a rare hang that could occur when the ticker referenced a previous game result where all of the players on the team have since been traded. Selecting to load a custom draft class will no longer cause a game hang in the MyGM offseason if you had previously been fired during that same offseason.